MIX Las Vegas, known for its high energy buzz, bright lights and 24-hour entertainment with Hawaii, known for its stunning scenery, perfect beaches and cocktails, and you get the best of both worlds on ecruising.travel's “Neon Lights and Romantic Sunsets” package. 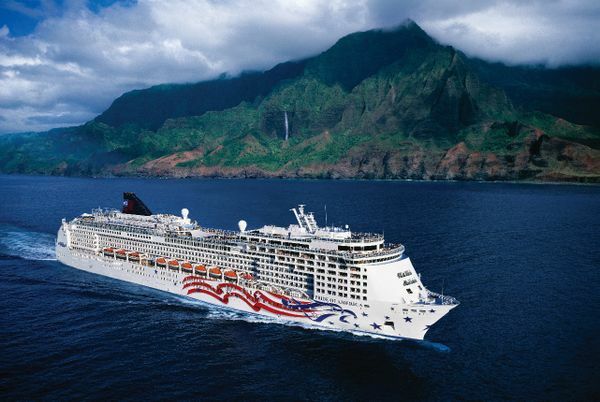 The 14-night itinerary includes a seven-night roundtrip cruise from Honolulu visiting Kahului in Maui, Hilo, Kona and Nawiliwili in Kauai on board Norwegian Cruise Lines' Pride Of America. Pride of America offers 18 dining venues, nine bars and lounges, a fitness centre and spa, sports court, three pools and hot tubs, excellent family accommodation and facilities and more balconies than any other ship that cruises Hawaii – perfect for whale watching, witnessing Kilauea Volcano or taking in the dramatic scenery. Prices start from $5419 per person twin share and include return economy airfares from Sydney, Brisbane, Melbourne (prices are slightly higher for passengers from Adelaide and Perth) with air taxes, one-way economy airfare from Las Vegas to Honolulu, seven nights cruise accommodation with all main meals, three nights accommodation at the Westgate Las Vegas Resort and Casino, four nights at the Hilton Waikiki Beach in Honolulu, a Las Vegas helicopter tour, a Pearl Harbour, Arizona Memorial and City tour and transfers.